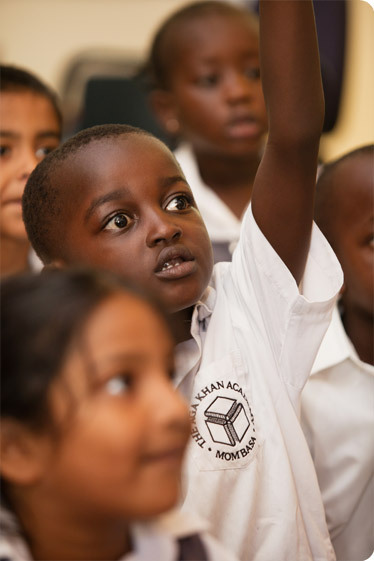 The Aga Khan Academy Mombasa is an International Baccalaureate World School. It is the first in the network of Aga Khan Academies established by His Highness the Aga Khan. The Academy features state-of-the-art facilities, a multicultural student body, and an experienced team of educators and staff. We provide students with education of the highest standard in order to prepare them for lives characterised by leadership and service. Admission to the Academy is means-blind and is based on merit. We consider all eligible students regardless of socio-economic status. As with all the Aga Khan Academies, we are committed to excellence in all aspects of education. This commitment includes the academic curriculum as well as the campus where students live and learn. Our campus is architect designed and purpose built. It features state-of-the-art classrooms and resource areas, and extensive sports facilities. These outstanding facilities provide an inspiring environment for both students and staff. At the Academy, we strive to create a balance between academic demands, sports, cultural activities and community life. We challenge our students to be intellectually inquisitive and socially conscious. We also encourage them to respect and appreciate other people’s cultures, social structures, values and beliefs. Our academic programme has been developed through the implementation of the widely-recognised International Baccalaureate. The programme is designed to challenge students of all backgrounds.